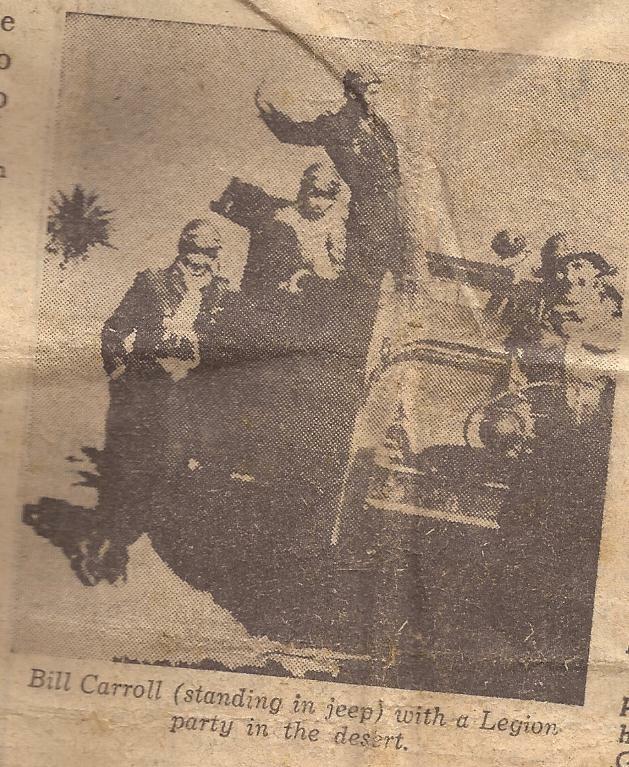 A bit of background – William John Carroll (Sean, my husband’s grandfather) was an amazing man with an amazing story. I always thought you could tell how wonderful a person is by how much they are loved and Poppy Bill was no exception, he was much loved by his family and friends and had some of the best stories I have heard. I only knew him personally for a short time but I loved him dearly. He was born in Belfast on 31 October 1933. Bill, Audrey and their two children arrived in Australia on April fool’s day 1970, Poppy Bill (as he was affectionately known) always said it was the biggest joke ever played on Australia – This is a bit of that amazing story! 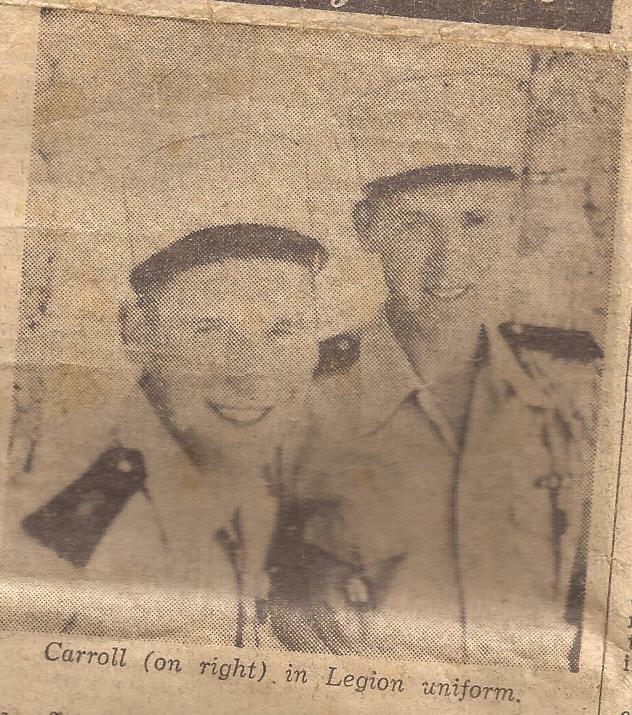 It was a Legion saying, but as he changed out of his army uniform in a Paris back street, 26 year old Bill Carroll was not deterred. He was determined to try a third way out – to desert. 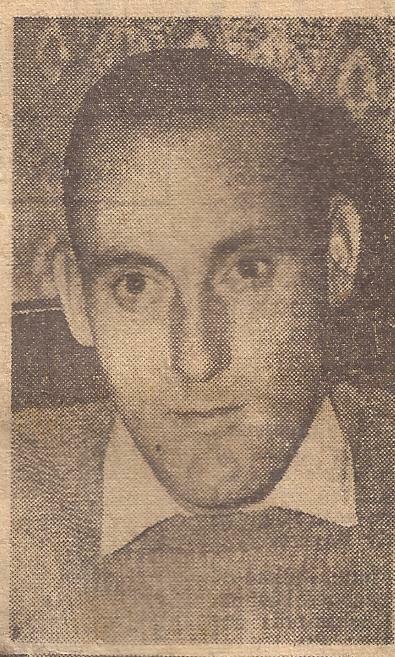 A quick Metro ride to the outskirts with his last francs and he was on the road to Lille, his first goal on the road back to Belfast. For the next four days he was a man on the run. Not daring to ask for a lift, he went by road during the day and made his way across country at night, using his desert route-finding experience. Only his rugged Legion training could have seen him through these desperate days, without food and on precious little sleep, running as though his life were at stake. It wasn’t until, but he knew that recapture would have meant incarceration for at least five years in a prison deep in the Sahara. Escape would be impossible, and when the sentence was completed he would have his fifth year to serve in the legion ranks. So he kept running, running, running… a strange, deranged figure to the tourists who waved at him from passing cars. With his long stride he ate up the miles, and soon he was within sight of Lille, where he stopped to reconsider his plans. Originally he had intended to make for a French Channel port and jump a boat, but this was risky. He decided to cross into Belgium and try his luck at Ostend. Crossing the border was easy. The Belgian frontier passed through the middle of a town, so he retraced his steps and found the river that divided the two countries. After waiting for nightfall he swam across to the Belgian side. In Dover at last he got he got another warrant through to Belfast and 10s for food. It is not hard to picture the look on Mrs Carroll’s face when he knocked on the door of 73 Velsheda Park, Ardoyne. Looking back on it all, Bill doesn’t regret his four years in the Legion, and he has enough experience to talk about for the rest of his days. Again he emphasised that it was the unbending discipline of the corporals’’ school, where candidates where subjected to four months of the toughest discipline the legion could mete out, that finally broke his spirit. Although the legion’s disciplinary code has been modernised since Beau Geste days, it still owes a lot to the Prussian traditions on which it was based. The punishments too have an old-fashion flavour about them. For less serious offences a “beating-up” with the fists is often practices by sergeants and corporals, and as an added disgrace, disobedient Legionnaires may have their heads shaved regularly before the assembled company. For really serious indiscretions in combat, like appearing drunk or refusing to obey an order, a man can be sentenced to the dreaded “tombeau”. This means he is made to dig a grave (tombeau) for himself, four or five feet deep. He is then handcuffed hand and foot and made to lie in it all day, coming up only for meals. Despite everything, there was still a ring of pride in Bill’s voice as he talked about the Legion’s fighting skills.